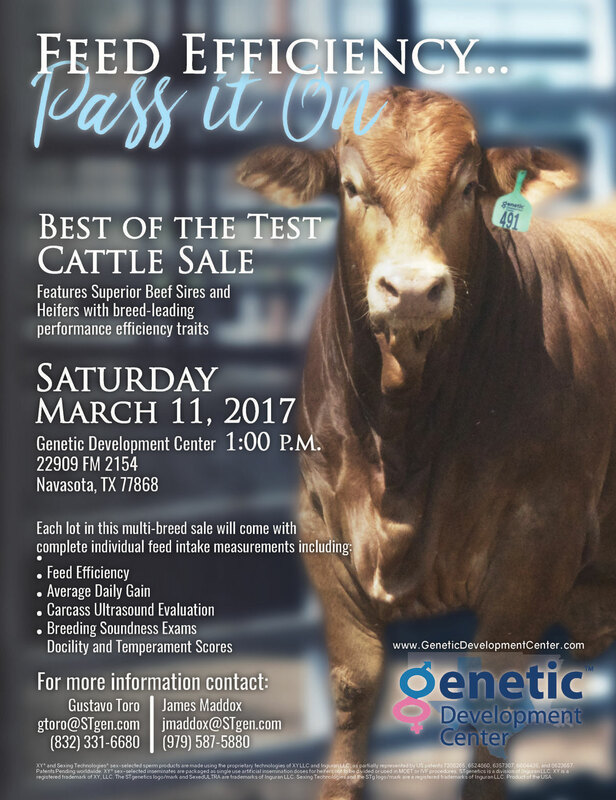 International Guests at Houston Livestock Show & Rodeo will have a great opportunity to buy Feed Efficiency tested Beefmaster Bulls at the Genetic Development Center near Navasota, TX on March 11, 2017 at 1:00 PM. DBL D BAR Ranch of Austin County, TX, will have 8 top bulls in the “Best of the Test Sale”. Octavio Toro and James Maddox of GDC have arranged this sale to close the International Week at HLSR. There are 3 other Beefmaster cattle sales on 9-10 March at HLSR but this sale will feature young developing high performance bulls tested for feed efficiency, average daily gain, carcass ultrasound evaluation, breeding soundness, and with docility & temperament scores. Everything you want in a top quality Beefmaster bull ready to be shipped to your home country. Export freight shippers will be standing by to help you plan your shipment.